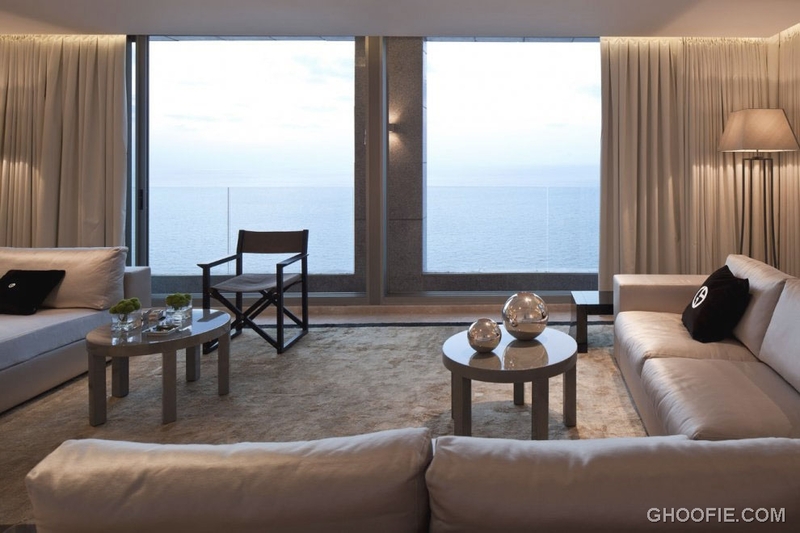 This Penthouse in Natanya, Israel has an amazing corner position with dramatic diagonal views of the Mediterranean Sea. 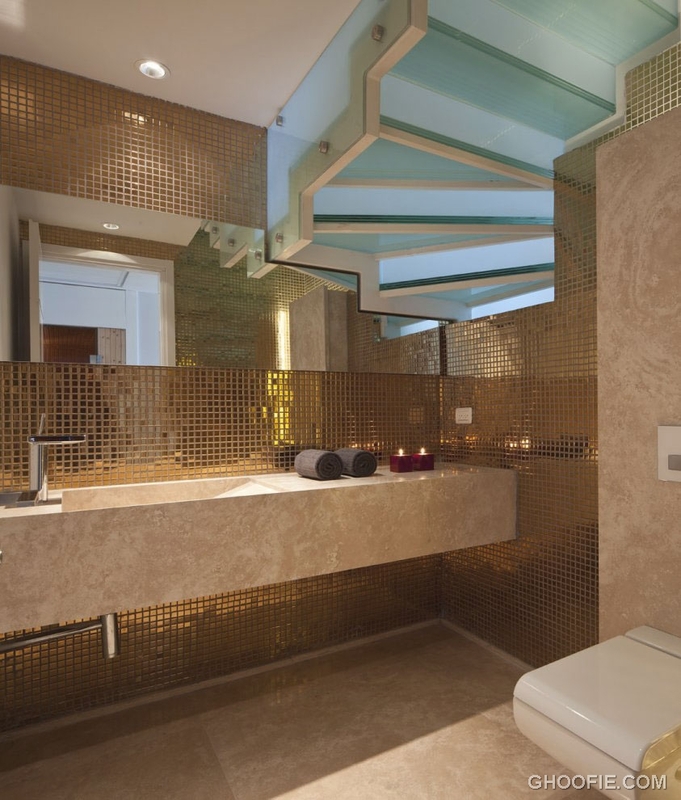 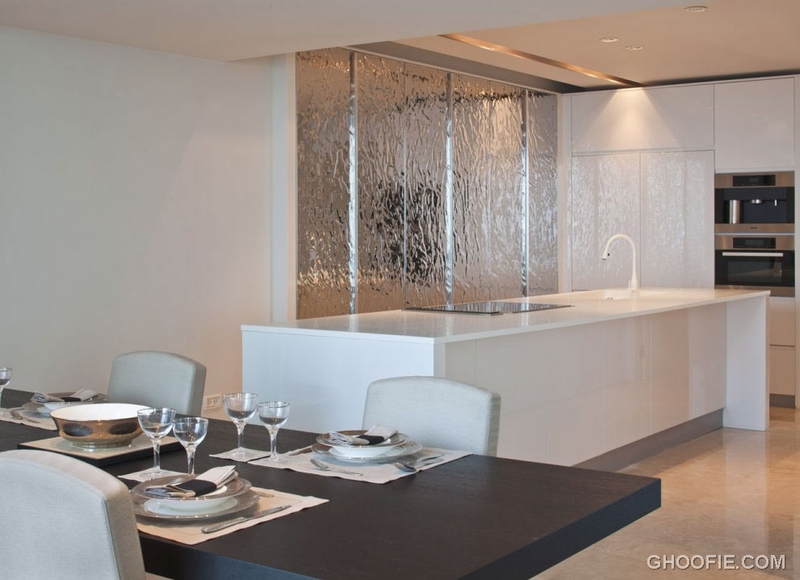 The apartment is fitted with a marble floor, featuring romantic lighting and a gold mosaic tile bathroom. 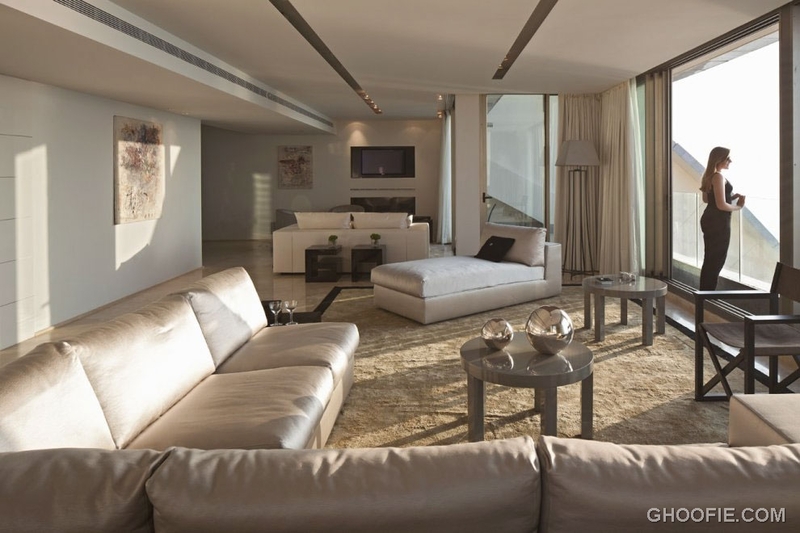 Living room is fitted with large windows and a glass wall, which allows a spectacular view of the sea. 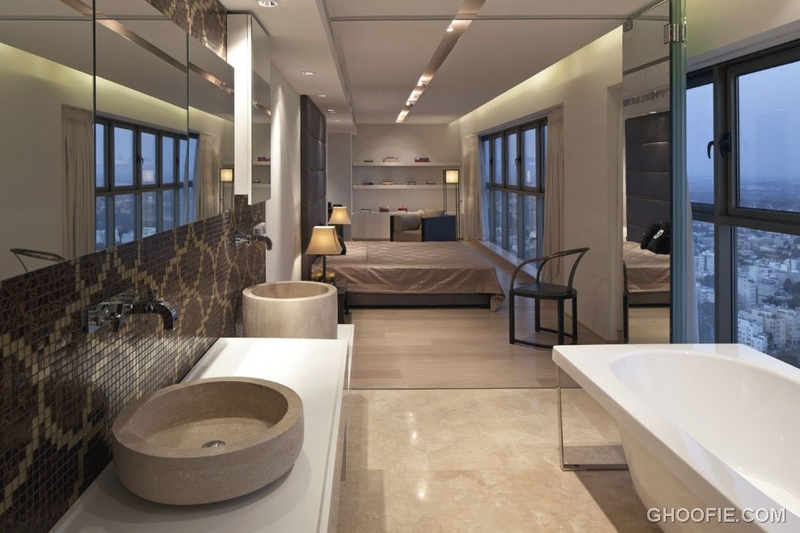 The bedroom suite and bathroom is in one area. 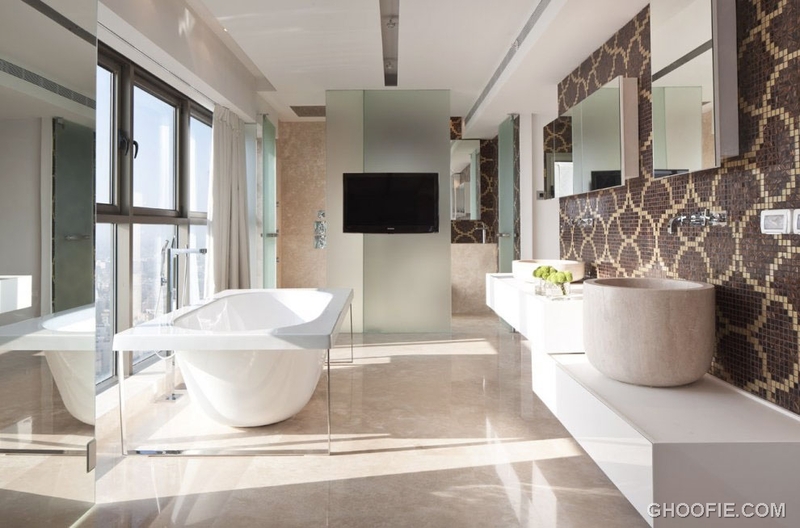 This penthouse‘s primary focus is the beautiful Mediterranean sea view, so take a look at the gallery below for some quality eye candy.